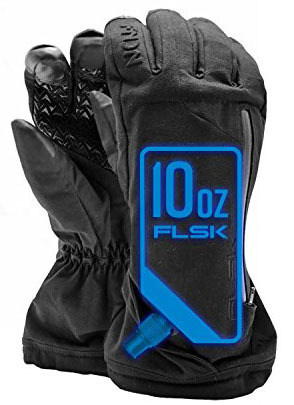 These gloves hold a ten-ounce flask in each hand, for a total of twenty ounces of liquor. “It’s not for liquor!” you tap out on your keyboard, your urge to be contrarian overwhelming your ability to type anything else. Nope, the manufacturer shows it with a bottle of Fireball.